Solving Tomorrows Mortgage Needs Today! ACS Mortgage Corporation is committed to helping you find the right mortgage product for your needs. We understand that every borrower is different, and we offer a variety of products to meet your individual requirements. We make the process of securing a mortgage simple and straightforward by offering you the latest in financial tools that enable you to make sound financial choices. ACS Mortgage Corporation is available to serve you in Illinois and Florida. We offer a wide variety of mortgage products such as, conventional home loans, FHA home loans, VA home loans, Jumbo loans, Portfolio lending for the investor and refinance loans, such as Conventional, FHA Streamline and VA Streamline. Are you interested in the options available when it comes to purchasing or refinancing your home? Get support from a team of professionals that you can trust, depend on ACS Mortgage Corporation. We are qualified to provide our clients with facts about the mortgage process, and work with them to discover the best options available. Our experienced Loan Officers will help set up the right program for you and your family. Have you been thinking about buying or refinancing your home and need help applying for a mortgage? If you are dreaming of owning your own home, you can always count on ACS Mortgage Corporation to help make your dream a reality. We will present our clients with afforable mortgage programs. 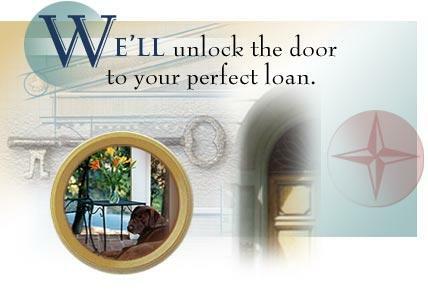 Our Loan Officers are professionals and understand that looking for a home loan is intimidating. We are ready to work for you, and discuss any questions that you have. When it comes to getting a mortgage, we will walk you through all of the necessary application steps and keep you updated throughout the entire process. It is our goal to get you the mortgage that fits you and your familly. Contact us today to learn more about how ACS Mortgage Corporation can help you become a homeowner! Customer Reviews: Zillow September 2018	CHAR IS AMAZING!!! I was referred to Char by my brother in law and couldn't be any happier. When I first reached out to Char my credit was low for me to qualify, but thanks to the encouragement and guidance from Char I was able to get my credit to a good score. If you want a professional, someone that takes her time to make sure you understand the process, someone that will be there at any time to answer your questions, someone that you can trust will look out for you, please call Char! she goes above and beyond to make the process so easy and painless for you. Thank you again Char! Zillow January 2018 "Best in the field with out a doubt, Very professional, very helpful, couldn't ask for a better lender. Big Thanks to Chart and her team, very professional, very helpful, from the beginning of the entire process. Great rate. Chart and her team made are dream of buying are house a reality when other lenders couldn't help us. Very help full, really going about and be on, she guide us every step all the way thru out the entire process. big thanks, highly recommend." Zillow May 2017 "Wonderful company Char from ACS was absolutely amazing. Helped me every step of the way and made me feel better after a previous lender was terrible. I would recommend her over and over especially if your new to the process." Zillow May 2017 "Char made it so easy...We have owned many homes and refinanced many times, I have never met a more efficient professional, that worked for me, until we were referred to Char. She is awesome and her assistants are too." Zillow July 2016: "I emailed Char when I thought we might be able to refinance. She emailed back we would have to wait a few months. She emailed me when the time came to ask if I was still interested. She gave me many options, and assisted us from beginning to end. The process was as pain free as a as refi could get, there were no issues, and the closing was by far the fastest one I have every attended. We secured a great rate, received excellent service, and I couldn't be happier. I'd highly recommend Char, she has helped us with our mortgage twice, and if rates ever get into the one's, she will be the first call I make." Zillow July 2016 "Char is wonderful to work with! She answered all of my questions quickly and kept me informed at all times. Everything went very smoothly. Char and her team got me closed within within 45 days without a hitch. I highly recommend Char!!" Zillow August 2016: "Charlotte Roehrig was an amazing professional to work with. She was responsive, return all my phone calls and emails promptly, and was friendly and reassuring throughout the entire process. Needless to say I'm not in the industry, and she was very patient with my questions, even though I'm sure she's heard them a million times. I never felt rushed or felt my questions were stupid. I would HIGHLY recommend her to anyone look looking to buy or refinance!!! "tab.